Daylight plays an irreplaceable role in our lives. It affects our productivity, comfort, mood and overall health. It has a positive effect on our mental and physical health. The human body and behavior is subject to 24-hour circadian rhythms, which have a major impact on our health, well-being and productivity. These include cycles of alertness and performance and the creation of the hormones melatonin and cortisol. Lighting should be tailored to these rhythms and naturally reproduce the daily course of sunlight by adjusting temperature and light intensity to meet the needs of our body. We apply this knowledge in the place where using it is the most beneficial. 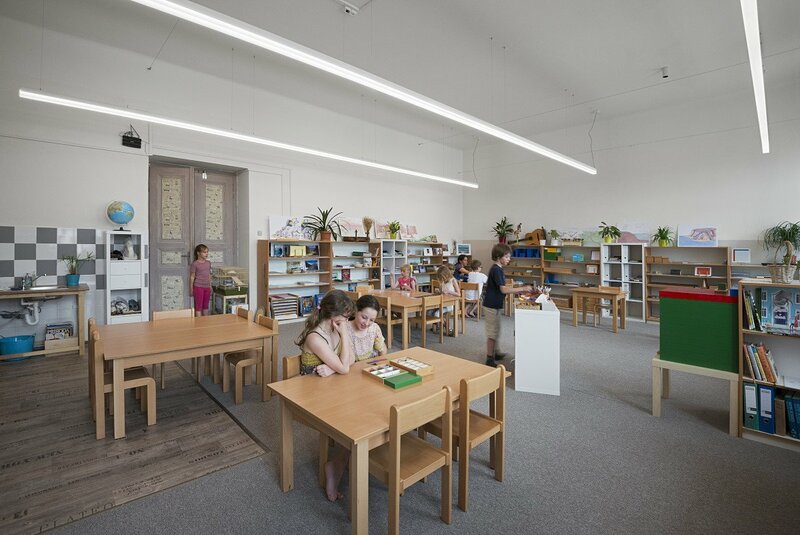 The first Czech educational institution to decide to take advantage of natural lighting based on the principle of Human Centric Lighting is Angel Montessori School. 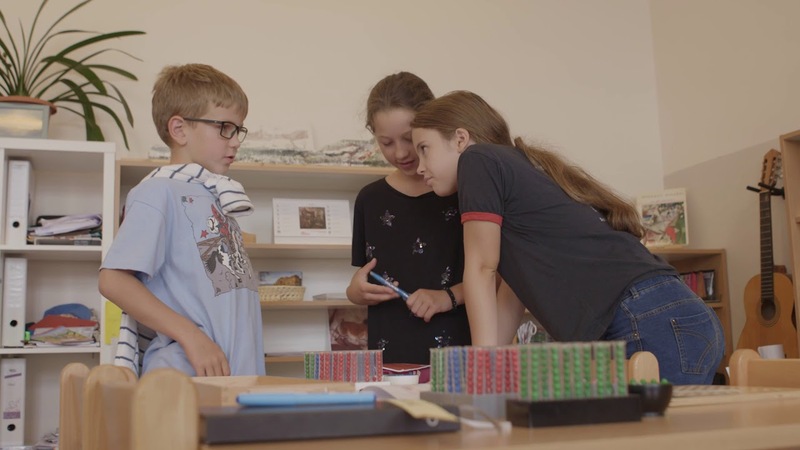 After coming to school, the children prepare for intense cold lighting throughout the day, which replaces their lack of similar sunlight and stimulates concentration and activity in them. The availability and amount of daylight in the room is monitored by an installed daylight sensor. Lunch time also means a time to relax, and for this reason the light is dimmer and warmer. It evokes the atmosphere of a quieter environment and helps children to enjoy more intensive relaxation. At the end of the day, the light is warmer and the intensity of it naturally decreases. The light gradually prepares children for regeneration and sleep. Human Centric Lighting is also beneficial in the workplace, in homes, hospitals and nursing homes, where the lighting enhances performance, reduces the tendency to make mistakes, and enables high-quality regeneration. Halla is working on perfecting this technology and its meaningful connection with other aspects so that it remains on the cutting edge and offers you the highest lighting comfort! There is such a lot of talk going around about branding, but what exactly is your brand and how do you use it to help you reach more people.